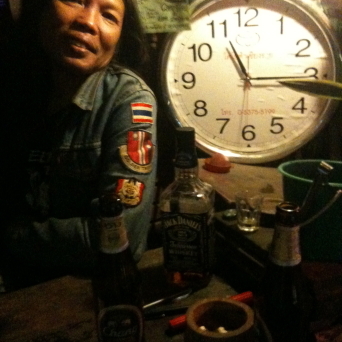 If you’re in Chiang Rai city, in Thailand’s northernmost province, and fancy meeting some interesting locals, travelers on their way through and everyone else in between then head to Teepee Bar.A Chiang Rai landmark since 1993, it was started by ‘Too’. This long-haired, very interesting, hip individual, graduated with an arts degree, worked for a few years in the field, then decided he was destined for something different. He rented a small space on the city’s main thoroughfare, Phaholyothin Road, and converted a former bicycle rental shop into what is now Teepee Bar. Best described as a truly bohemian space adorned with just about everything you can imagine, old bicycles hang from the ceiling, rabbits sometimes hop about inside, great DVDs and music blast at a variety of volumes, drinks are affordable, it’s dark, the toilet is truly bizarre and many visitors can’t decide if they like it or are repulsed before making multiple visits. 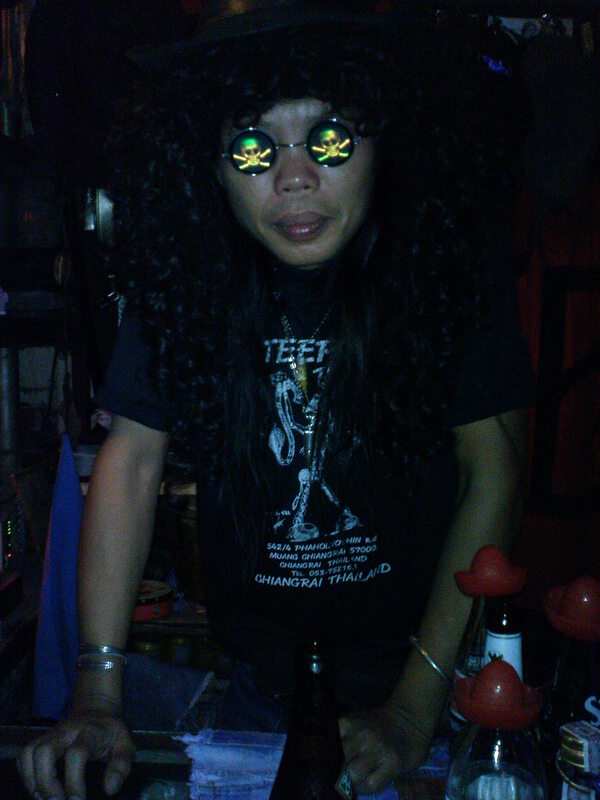 For the first five years I lived in Thailand operating Smiling Albino, I didn’t often go into Teepee Bar. I’m not sure why. In the last three years I have started popping-in for ‘one’ beer which inevitably always leads to at least two. For me, it’s a place to unwind, not talk a lot, gaze at whatever music DVD is on, listen to tunes and zone-out. The owner Too, truly is a great host, making every and all types feel very welcome. Teepee truly is where it’s at! 053-752-163 (who would have thought they have a phone! Hi, I´m from Czech Republic (Europe), we stayed in Chiang Rai in march 2008 and olso visited Teepee Bar. You described it in my words, it is realy amazing bar. I made a short video from this bar and I want to send a link to ovner, but I dodn´t find his email on the internet. Please If you know email send him link below. Of course you are inveited to see the video.